Frontloading CFD: How and Why? 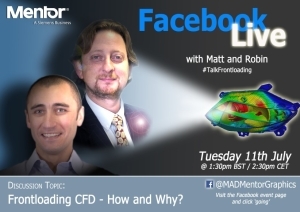 On the 11th July Matt Milne and Robin Bornoff will be streamed live from Facebook chatting about Frontloading CFD: How and Why? Join the conversation by sending your questions and comments.